The view this morning from Baker Mountain outside Saranac Lake. The Tug Hill region east of Lake Ontario got clobbered by a lake-effect snowstorm Tuesday. I was hoping we’d get a decent snowfall in Saranac Lake, but we received little more than dusting. The woods on Baker Mountain looked pretty this morning, but they would have made for ugly skiing. 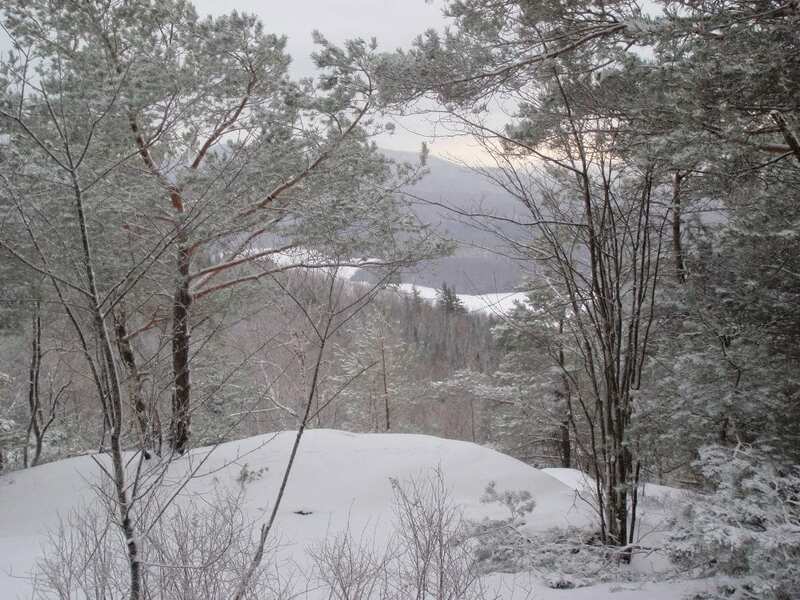 The western Adirondacks, however, picked up several inches of fresh snow. Chris Tapper, business manager of Mountainman Outdoor Supply Company in Old Forge, said the Old Forge area got about five inches of light snow. The area now has about eight inches on the ground, and Tapper said most trails favored by Nordic enthusiasts should be skiable. “Wider skis are going to be the tool of choice, because it’s light, fluffy snow,” Tapper said. Rick Kovacs, owner of the Wanakena General Store, said the Wanakena area received about six inches of snow Tuesday on top of a two-to-three-inch base. He said skiing should be good on most trails. 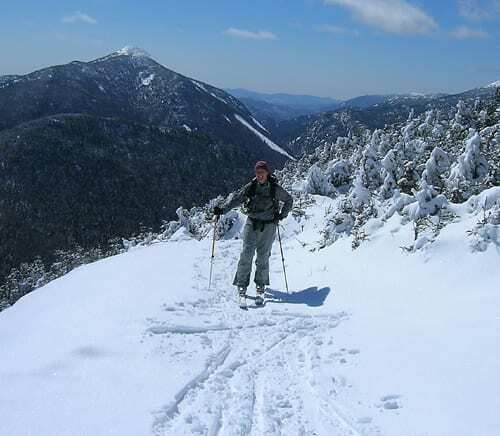 In contrast, there are few, if any, opportunities for backcountry skiing in the Lake Placid region. 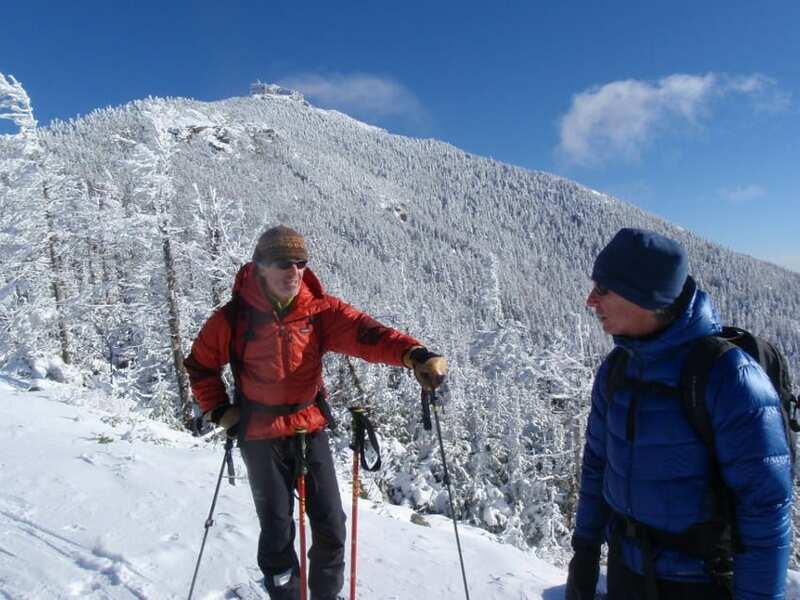 Tony Goodwin, the executive director of the Adirondack Ski Touring Council, said he cannot recommend even the Marcy Dam Truck Trail—which requires only a few inches of base to be skiable. One Nordic option might be ponds. I skied on several ponds in the Fish Creek Ponds region last weekend. Conditions were superb. Since then, we’ve had wind, rain, subzero temperatures, and a dusting of snow. The ice should still be solid, but I can’t vouch for the surface conditions. As always, be aware that ice on a pond often is thin or non-existent where there is a current even if the ice is several inches thick elsewhere on the pond. 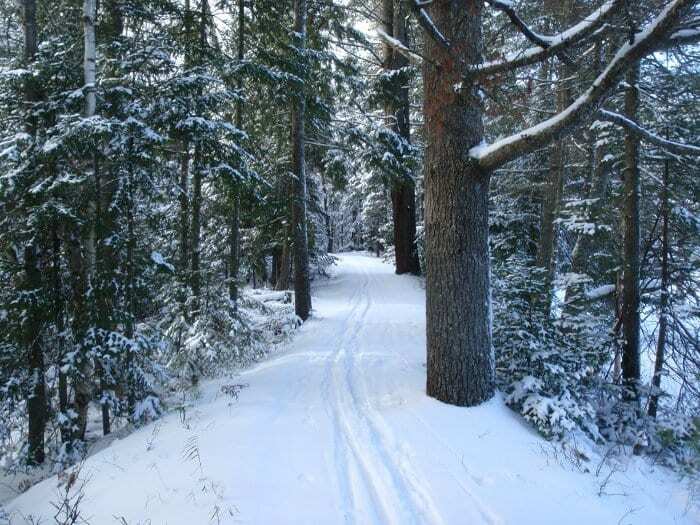 For now, the best bet for trail skiing is the western Adirondacks. Unfortunately, the National Weather Service is forecasting freezing rain this weekend. “If people are going to ski, they better do it now,” Tapper said.